Regardless of whether your Australian partner lives in Australia or elsewhere, if you are in a genuine, exclusive relationship, you might be able to obtain a Partner visa, which would allow you to live in Australia with your partner. Our partner visa Brisbane Australia specialists will help you acquire the right information to give you the best chance at meeting the criteria. Spouses and de-facto partners of Australian permanent residents or citizens may qualify for a temporary visa which leads to a permanent residency visa under the Partner migration stream. There are several criteria which must be met – one of the the most important is being able to provide evidence of a genuine and continuing relationship. A temporary Partner visa Brisbane Australia or Australia wide is often granted as a temporary visa for 2 years to qualifying applicants. Provided that 2 years after lodgement, the applicants continue to be in a genuine relationship, a permanent visa would then be granted. This partner visa Brisbane Australia subclass allows Australian citizens, permanent residents or eligible citizens of New Zealand to sponsor their partner or spouse to allow for an application for temporary Australian residency. 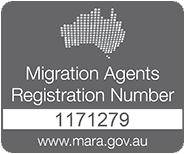 It provides residency in Australia, including work and study rights, until a decision is made on the permanent component (the subclass 100/801). This typically occurs 2 years after the original application is submitted. Is the 309/820 for you? This could be the first step in a new life in Australia for you both. Our team are experts in managing this kind of visa. Get in touch today! This is the permanent version of the subclas 309/820, and is usually granted to those who hold the provisional visa first, although it can be granted immediately following the grant of a provisional visa, if the application contains sufficient evidence of the history of the relationship. For the visa to be granted, you must continue to be in a genuine relationship with the same sponsor of the provisional visa. Holders of this visa become permanent residents of Australia. Do you hold a subclass 309/100 visa? Are you in a long term relationship with your Australian partner? We'll let you know if you qualify. This visa allows holders to come to Australia and marry their prospective spouse. It’s designed to be the first part of a multi-stage process, beginning with this, leading directly to a provisinoal partner visa, and then the permanent partner visa. Holders of the subclass 300 must marry within 9 months of the visa grant date. There is a much lower threshold of evidence required to establish your relationship, and you do not need to have lived together to qualify. This is therefore popular with serious, committed couples who may not be able to meet the requirements of the other partner visas available. If you're engaged to be married to an Australian citizen, you might want to consnider this visa. We can talk you through what's involved. Start your partner visa eligibility check.